Story line: A comedy about a psychiatrist and his patients who express feelings of being possessed. Location: Photographed entirely on location at the “Hollyhock House”, historic structure by noted architect Frank Lloyd Wright, near Griffith Park, in Los Angeles. 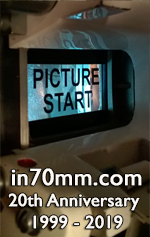 Film stock: Photography to be on various 65mm camera stocks: Kodak 65mm 5274 T 200 tungsten. Kodak 65mm 5277 D 320 tungsten. Kodak 65mm 5246 D 250 daylight & Kodak 65mm 5279 T 500 tungsten. Stocks actually seen in demo reel: Interior hallway: Kodak 65mm 5277 T (320 tungsten) and Exterior scenes: Kodak 65mm 5246 D (250 daylight). Print stock used: Kodak Vision Premiere, type 2393 (70mm). 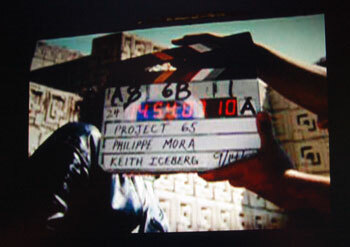 Photographer & Director: Keith Eisberg.